From the ending of Supergirl on Monday, we saw the debut of the Music Meister (Darren Criss,) essentially putting Kara into a comatose state, and then traveling between dimensions to do the very same to the “fastest man alive” Barry Allen. Barry would create a world of his own subconscious, in the form of a gangster-esque musical, where Kara was imprisoned as well. 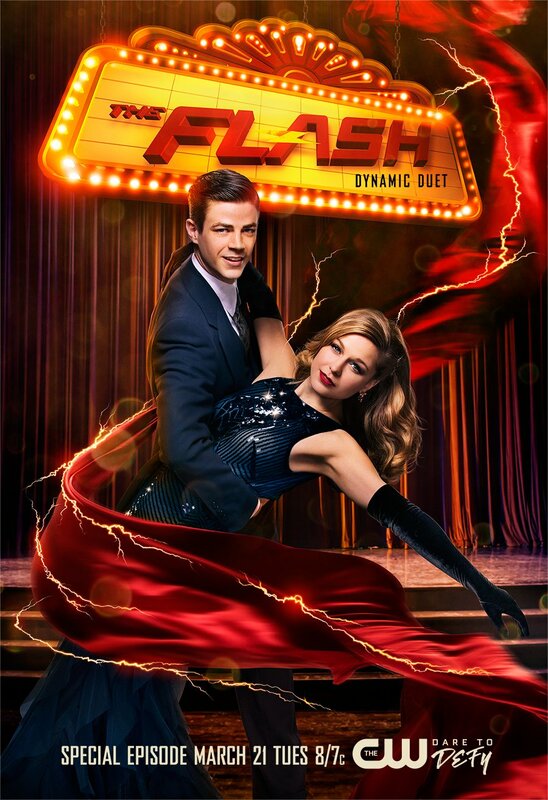 The Flash episode, aptly named “Duet” was met with equally good and bad reviews, but that has not stopped Warner Bros from releasing the soundtrack officially through WaterTower Music on Tuesday – WaterTower Music is owned by the media juggernaut Warner Bros., therefore, it is no surprise to see them release it through this imprint. The seven-song album features all five of the songs that were in the episode, including the cover versions of ‘Moon River’, ‘Put A Little Love In Your Heart’, and ‘More I Cannot Wish’. What most fans who loved the episode wanted is also going to be showcased on the album, that being the two original compositions; ‘Super Friends’, written by CW star Rachel Bloom, and ‘Running Home To You’, written by the award winning La La Land. The album also features an alternate version of ‘Running Home To You’, where Barry Allen (Grant Gustin) is accompanied by guitar. The album is available through iTunes and Amazon Music, and is already ranked #11 in Amazon’s albums.